The learning process is accomplished by telling the network the desired outcome for a given set of input variables. Optimization algorithms, which are based on minimizing the difference between the observed (in this case the desired) output and the computed output, can be used to identify the weights vectors for each layer. However, researchers have found difficulties training three layer configurations. We address these difficulties by utilizing a Modified Counter Propagation Network (MCPN) implementation. MCPN is a hybrid three layer consisting of two components: (a) the input-hidden layer transformation which forms a self-organizing feature map (SOFM) that automatically clusters the input space into discreet clusters, and (b) the hidden-output layer transformation, which maps the discrete SOFM clusters into continuous output space. Unlike traditional three-layout implementation, the MCPN structure allows separate training of the input-hidden layer and hidden-output layer. Furhermore, both unsupervised training (for input-hidden) and supervised training (hidden-output) procedures are used. 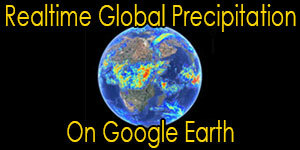 The most important requirement for successful estimatio of rainfall using ANN is the selection of input variables that provide sufficient information to enable proper rainfall rate discrimination. Basic approaches use only the satellite IR image brightness temperature Tb. 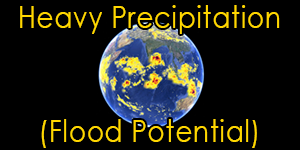 In contrast, the MCPN is able to construct a model that uses many input variables as might be considered to be informative about the rainfall process. 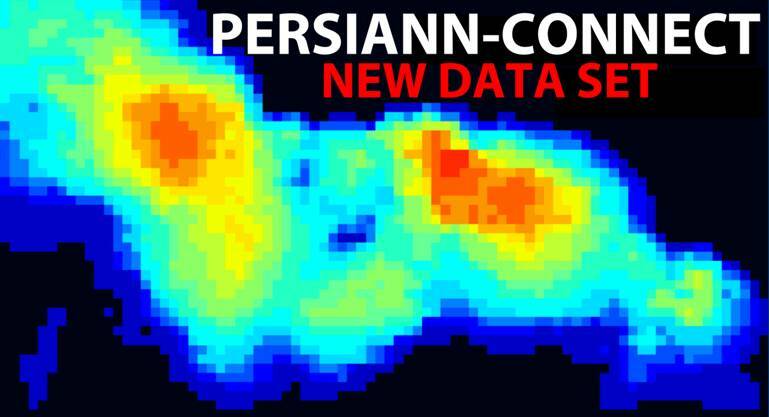 Since 1996, we have extensively explored the selection of model input and developed various versions of PERSIANN that make use of multiple satellite data, as well as multiple features obtained from these data. For example, these include the mean, standard deviation of brightness temperature within [n x n] grid cells, together with image texture variable.